Hos Dorte: Mid Way reminder for HM&MC. 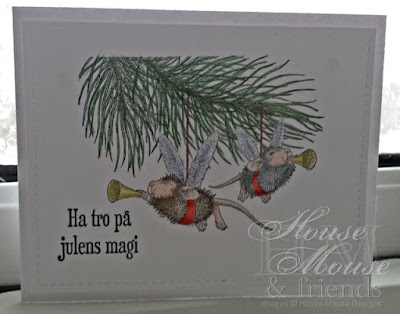 The sentiment means 'Believe in the magic of Christmas'. 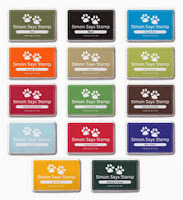 An easy CAS card to make and perfect for delivery by mail. No flowers or other stash to be squeezed! Happy Hopper called "Great Catch" for one lucky winner !! 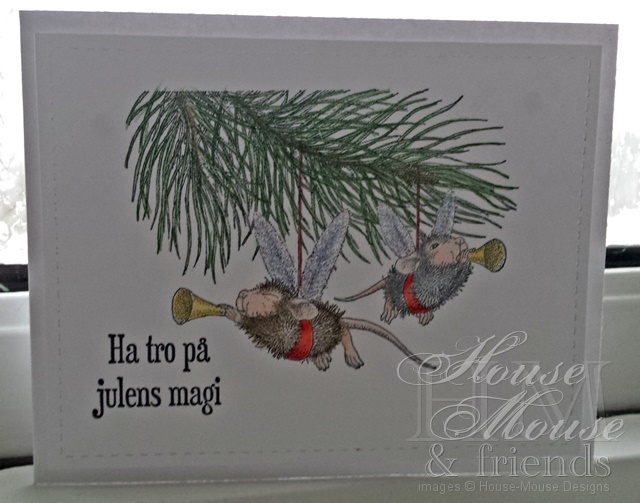 Hi Dorte, a sweet card, I wouldn't mind having some ornaments like these little mice to hang on my tree. Wonderful coloring and love the CAS design. Love love love it Dorte as always sweetie !! Im lovin' how clean and gorgeous this mousey make turned out! Lovely work Teamie!